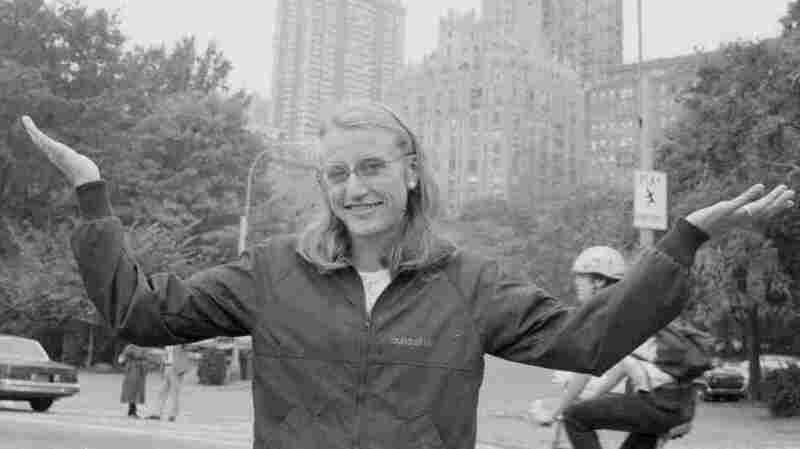 Marathoner Grete Waitz Has Died : The Two-Way Waitz won the New York City Marathon nine times and a silver medal at the 1984 Summer Olympics in Los Angeles. And she was one of the pioneers of the women's running revolution in the '70s and '80s. Waitz, who had cancer, was 57. Marathon champion Grete Waitz, in New York's Central Park on Oct. 19, 1983. "The women's running revolution, the biggest sea change in our sport in 30 years, began in Norway, where a young track star, Grete Waitz, broke boundaries as well as records. In 1972, at the Munich Olympics, she ran the 1500 meters, the first time women were allowed to participate in the event. She went on to win the New York City Marathon an almost-inconceivable nine times, a feat achieved by no other runner (male or female), and set three world records." Update at 11:30 a.m. ET. "World's Most Humble Marathon Superstar?" "The world's most humble marathon superstar. She never, ever called attention to herself. But through her efforts and example, particularly in the New York City Marathon, which she won nine times, she turned the marathon into a worldwide, female-friendly urban phenomenon." "Her debut over the Marathon distance, in New York on 22 October 1978, was nothing short of astounding. Not only did she run away with the victory, she shattered the previous World best by more than two minutes with her 2:32:30 performance. She lowered the World best on three more occasions: to 2:27:33 in 1979 and 2:25:41 in 1980, both times again in New York, and again to 2:25:29 in 1983 when she claimed her first of two victories in the London Marathon. At her second victory in the British capital, in 1986, she produced her ultimate personal best of 2:24:54."